Connect with other CLUB members in a small, repeat setting to support your professional and personal journeys. 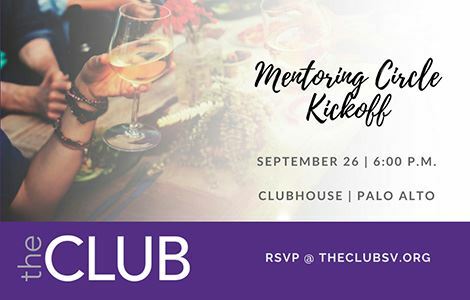 A mentoring circle is a small group (approximately 10 participants) of CLUB members who meet monthly. This is an opportunity to learn, explore and share in a safe, confidential environment. Ideally participants will agree to meet in-person for a 12-month period. Get advice from someone who has had similar challenges while navigating their career. Get help mapping your own journey and goals. Gain a group you can call upon for mentoring, expertise and support. Meet CLUB members and build new relationships.